After a long no-news period, users and fans of this blockchain messaging knight started to worry about the next step the developers will introduce, since the boldest ideas are always on the way of ADAMANT. Well, this time is no exception and it comes with a big surprise. 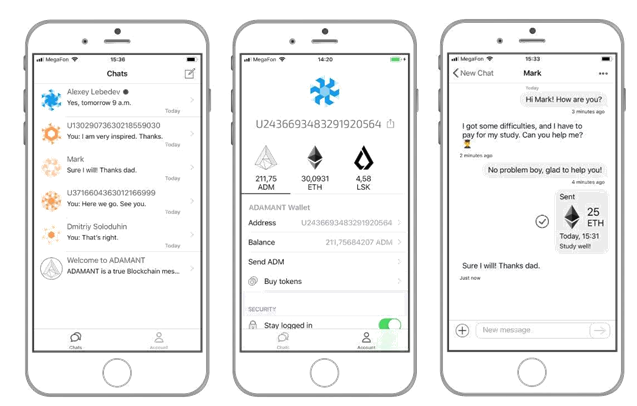 A few hours ago, Apple device owners began to test the new feature of ADAMANT Messenger: Storing and transferring Lisk token (LSK) in chats. The team has added this option in iOS app update 1.3. It is just as convenient and safe to store and transfer LSK in ADAMANT as in the Lisk Hub native wallet. As in case of ADM​ and ETH transfers​that were added in the last release for iOS, only you own the private keys to the wallets. Transferring tokens in the ADAMANT Messenger iOS app is simple and intuitive. You can either transfer it to the another person in a chat or withdraw it to an external wallet. 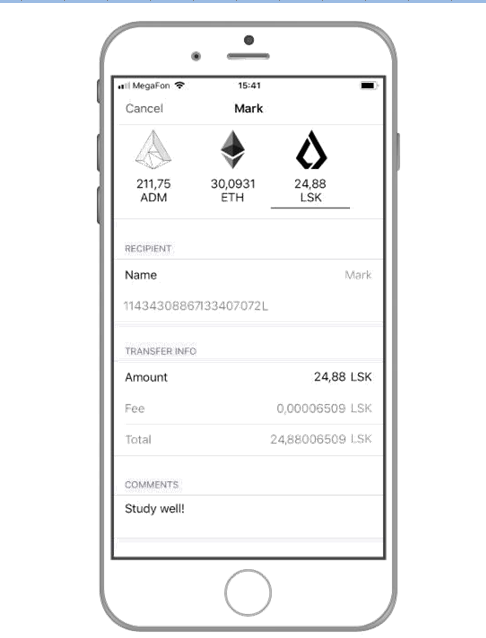 Currently Lisk transfers are integrated only into the iOS​ app.​ PWA and Android will support Lisk token later. Thus, now the use of LSK become as simple, as never before. Some Reddit forum users already are saying, this is going to change the whole understanding of this token forever. After that, developers have added some details that make the iOS app more convenient. Avatars for contacts. Now each account has its own unique automatically generated avatar picture. This makes finding contacts visually easier. Comments for ADM transfers: you can add notes in the relevant field that will be displayed below the transfer amount. iPad support. Now Apple tablet owners can also use this app. Other improvements affecting messages sending, QR codes generation and general app stability. These changes are internal but they make use the app more comfortable. Less errors, faster speed. Download ADAMANT Messenger for iOS in the App​ Store.​ You can also visit GitHub repository of ADAMANT: the source code is completely open and you can by your own or with the help of a trusted expert verify that the app is safe and secure. As some insiders have already said, it is planned to implement Lisk transfers in the ADAMANT web and Android apps​​in the near future. Judging by such development steps, ADAMANT obviously surpasses other “TOP” projects in the progress done last month.